DETROIT (AP) - Detroit's problematic public transportation system is getting a new leader. The office of Mayor Dave Bing said in a statement Tuesday night that Ron Freeland would serve as the Detroit Department of Transportation's CEO. Freeland has worked as an executive with other transportation systems in the U.S.
Word of the appointment comes as Detroit considers ending early-morning bus service as part of an effort to cut about $11 million in costs. The city says some other bus routes could be eliminated. Public hearings on the proposal are planned. The mayor on Wednesday also planned to show off new city buses at an event on the city's east side. The mayor's office says the new, more fuel-efficient buses are part of the city's newest fleet that began arriving Jan. 30. 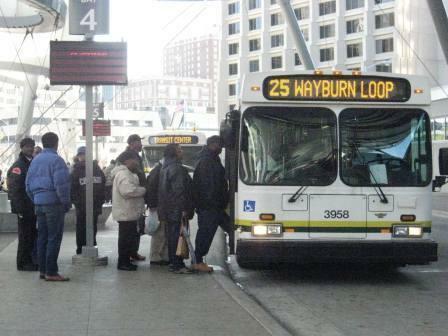 Big changes are in store once again for Detroit’s beleaguered bus riders. 1000 city workers will be laid off next week—including 78 bus drivers and 25 mechanics, according to Naomi Patton, a spokeswoman for Detroit Mayor Dave Bing. The city recently turned over management of its transportation department to a private contractor, Parsons Brinckerhoff, who sub-contracted with another company, Envisurage. Lawmakers in Lansing are working out details of legislation that would create a regional transportation authority in southeast Michigan. 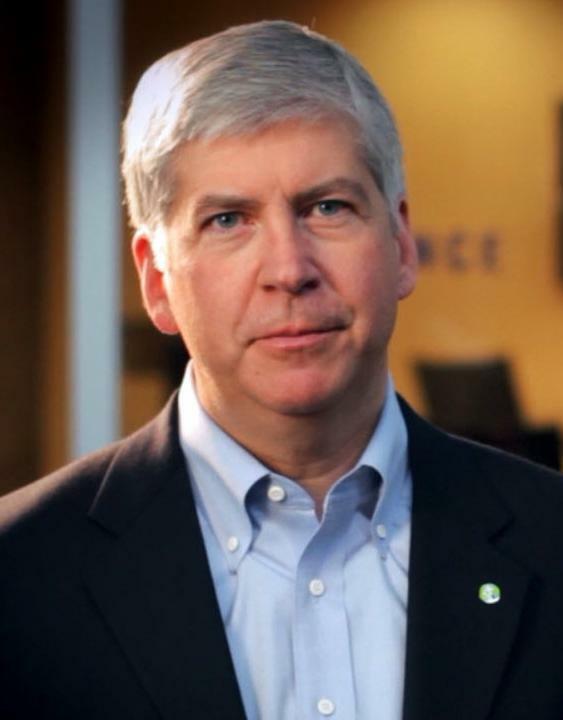 Governor Snyder has called for such an authority to coordinate Metro Detroit’s bus systems, and provide funding for them and future mass transit projects. 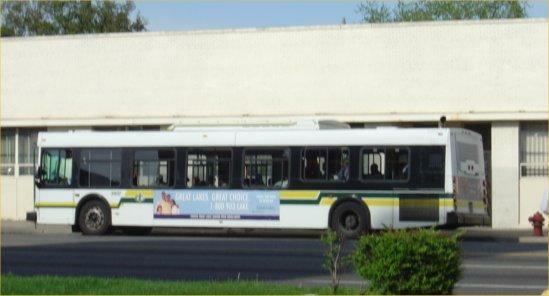 Detroit has a city-run bus system, and a regional bus system that serves both city and suburbs. But despite mounting troubles for both, past efforts to merge them have always failed. Megan Owens, President of the transit advocacy group Transportation Riders United, said it’s unrealistic to expect those systems to merge or go away. Owens said prior efforts to create a regional authority have always stumbled over issues of "power and money"--whether any party would have veto power, for example, and how money would be divided between municipalities. Those issues are being hammered out behind the scenes in Lansing. A spokesman for State Senator Tom Casperson, chairman of the Senate Transportation committee, said he expects legislation will be introduced as early as this week or immediately after the winter recess. Detroit’s Chief Operating Officer says the city will bring in an outside company to oversee bus maintenance. Chris Brown says that’s part of Mayor Dave Bing’s strategy to address the city’s bus crisis. The situation has many Detroiters waiting as long as three hours for buses. The city had instituted furlough days and cut overtime pay for bus mechanics, which led to a lack of buses on the streets. Officials have also accused bus mechanics of a deliberate work slowdown. Michigan will get close $46.7 million for 16 transportation projects across the state. U.S. Transportation Secretary Ray LaHood in Dearborn today, where he announced the funding. Right now, separate bus systems serve Detroit and the suburbs. Both systems face major budget troubles. DDOT, the system that serves Detroit, has cut routes, and riders have complained about hours-long waits. Meanwhile, the suburban system, SMART, just announced massive service cuts. 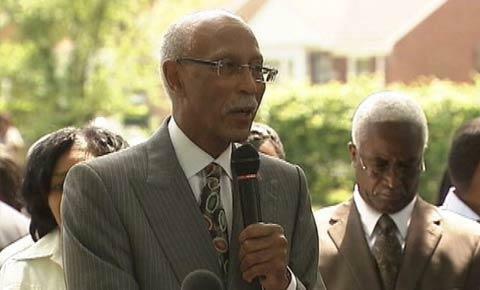 "I am hopeful in a short period of time we will have a solution or more than one option in terms of how we're going to deal with that problem," said Detroit Mayor Dave Bing. Part of that solution will come in the form of help from the federal government, which has pledged $6 million for the city to purchase new busses. Bing says he's also hoping for concessions from the union that represents the city's bus drivers.